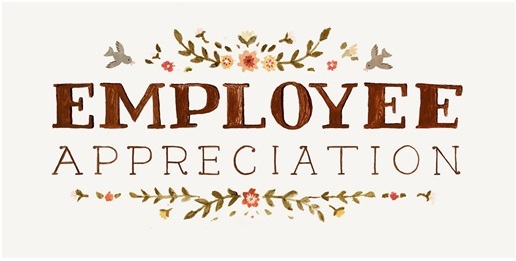 Employee Appreciation Day is observed every year in the beginning of March in the United States and Canada. While it is an unofficial holiday, it is definitely a one that needs to be recognized annually. It is a day for companies to thank their employees for their consistent hard work. The day was originally created for the purpose of strengthening the bond between the employer and the employees. Being founded in 1995, Employee Appreciation Day is still in its early stages in the United States, which is why we believe it is important to acknowledge, and help it gain more momentum. A main reason Employee Appreciation Day is so important and crucial to celebrate in the work place is because recognition and appreciation are known to motivate employees and been a key factor to keep them working hard. Whether you have a special celebration for your employees or even just give verbal rewards, people will take that to heart and keep up their good work. There are many ways to observe National Employee Appreciation Day. First and foremost, a simple, yet heartfelt, thank you note acknowledging their efforts and successes can go a long way. Similarly, creating an encouraging environment will help employees expand their horizons and feel free to suggest other ideas and work towards achievement. You could also throw a celebration for an entire team of employees and their accomplishments; whether that be a pizza party, an end of the day happy hour, casual dress day, or a half day of work, give them something for their hard work and success. Similar to a boss showing their employee appreciation, clients and customers can reward them as well. At Elements Massage, all of our therapists deserve recognition for their amazing services; both from employers and the clients as well. We want to show off our employees and their hard work at our studio. Each day, our massage therapists come in and are greeted by new customers and returning customers. With all of these people, they must personally assess their problems and concerns to give you the best care possible. The knowledge they need to have about the human body, injuries, diseases, and more goes to show how intelligent and well-rounded our employees are. But don’t just take our word for it. Every month our newsletters have featured a therapist and testimonials from their clients, with nothing but loving and encouraging words. We would like to thank all of our amazing therapists for their services! Thank you Lucy, Amanda, Amber, Andrea, Barb, Berevon, Bob, Deanna, Donna, Kevin, Mario, PJ, Sandra, Sharissa, and Tatia. You help make Elements Massage and enjoyable and successful work place and work environment. “Barb is the best massage therapist! She is worth her weight in gold!’ Deb F.
"Amanda delivered exactly what I was looking for. Great masseuse!" Chris K.
"Very talented people doing the messages!! Everyone at elements is very nice and professional." Stephen B. "Prompt, personal,and skilled professional therapists!" Willett K.
Come experience our amazing employees for yourself, and you will see why we appreciate them so much. Visit our website to book an appointment!